Boston area sportscaster Rich “Spitz” Spedaliere joins Philadelphia sportscasting legend Don Henderson and Doug Miles to recap the weekend in sports and talk about sports betting around the United States and where it will take off first. Other topics include: Rays sweep the Yankees, Jameis Winston suspension, Barry Trotz to the Islanders and more. (St. Petersburg, FL) The Tampa Bay Rays will open the 2016 season on Monday, April 4 at 3:10 p.m. versus the Toronto Blue Jays at Tropicana Field. All 30 major league teams released their 2016 schedules today. The schedule is subject to change. Highlighting the schedule are home weekend series with the New York Yankees (May 27-29 and July 29-31), Boston Red Sox (September 23-25) and San Francisco Giants (June 17-19). For the fourth consecutive season, Tampa Bay will play 20 interleague games. The Rays will face all five teams from National League West Division including a home-and-home series with the Los Angeles Dodgers. The Rays will also continue their annual home-and-home series with the Miami Marlins. The Dodgers will make their first visit to Tropicana Field since 2007, May 3-4, and on July 26-27, the Rays will make only their second ever trip to Dodger Stadium. The Rays will host the Giants for the only the second time in the last 12 years. The interleague schedule also includes a home series with the San Diego Padres and road sets with the Arizona Diamondbacks and Colorado Rockies. The schedule includes 76 games versus the American League East Division, 34 against the AL Central and 32 versus the AL West. The breakdown includes 19 games each against the Yankees (9 home, 10 away), Orioles (9 home, 10 away), Red Sox (10 home, 9 away) and Toronto Blue Jays (10 home, 9 away). The Rays will also play seven games against the Kansas City Royals, Minnesota Twins, Detroit Tigers, Chicago White Sox, Los Angeles Angels of Anaheim and Oakland Athletics. The Rays will have six games apiece against the Cleveland Indians, Texas Rangers, Houston Astros and Seattle Mariners. The Rays close out the 2016 home schedule with a six-game homestand against the Yankees and Red Sox, September 20-25. This will be the seventh consecutive season the Rays will open the season at home. 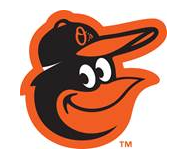 (Baltimore, MD) After consultation with Major League Baseball and city and local officials, tomorrow’s (Wednesday’s) game between the Orioles and the Chicago White Sox will begin at 2:05 p.m. ET and will be closed to the public. The Orioles will also play their three-game series against the Tampa Bay Rays, scheduled for May 1-3, at Tropicana Field in St. Petersburg, FL. while serving as the home team. All fans with tickets to games on April 29, May 1, May 2, or May 3 at Oriole Park may exchange their tickets for any remaining home game this season on a “dollar for dollar” basis. Additionally, the postponed games between the Orioles and the White Sox on Monday, April 27, and Tuesday, April 28, will be made up as part of a single-admission doubleheader on Thursday, May 28, beginning at 4:05 p.m.
Tickets for Monday’s postponed game will be valid for the doubleheader on May 28. Fans unable to attend the doubleheader will have an opportunity to exchange their tickets for any remaining home game this season. Fans with tickets for Tuesday’s postponed game must exchange those tickets to attend the doubleheader on May 28 or exchange them for any remaining home game this season. Exchanges for both games will be completed on a “dollar for dollar” basis. All tickets are subject to availability, and exchanges must be completed by June 30, 2015. Complimentary tickets are non-exchangeable. Fans with questions regarding the ticket exchange process should contact Orioles Fan Services at 1-888-848-BIRD. (St. Petersburg, FL) The Tampa Bay Rays will retire uniform No. 66 in honor of the team’s longtime senior advisor Don Zimmer in a pregame ceremony at Tropicana Field on Monday, April 6 when the Rays open the season against the Baltimore Orioles. “Don Zimmer enriched the lives of everyone in the Rays family, and he played a significant part in the growth of our organization,” said Rays Principal Owner Stuart Sternberg. “Zim’s presence has been a gift to the game of baseball, and his influence will be felt for years to come. No. 66 was the last uniform number worn by the beloved Zimmer and signified his number of years in professional baseball. He spent 11 years in a Rays uniform (2004-14) most of any of the 14 major league clubs that employed him as a player, coach or manager. From 1971 until his death, Zimmer either managed, coached or served as an advisor for nine major league clubs. During his 66-year career, his teams advanced to the postseason 19 times including all four of the Rays appearances (2008, 2010, 2011, 2013) and won six World Series rings. Prior to joining the Rays, he spent eight seasons as bench coach with the New York Yankees under Manager Joe Torre. His uniform number will be posted high above the left-center field wall where it will join the Rays two other retired numbers: Wade Boggs’ No. 12 (retired in 1999) and Jackie Robinson’s No. 42 (retired by all teams in 1997). (Sarasota, FL) This Saturday, March 14, the Orioles will feature two activities exclusively for children, as well as a Plush Cow promotional giveaway when the Orioles take on the Tampa Bay Rays at Ed Smith Stadium at 1:05 p.m. The first 3,000 fans through the gates on Saturday will receive a Plush Cow. Following the game all children ages 14 and under may run the bases like their favorite Major League stars. During the ceremonial first pitch before the game, one youngster will represent the over 70 children who successfully completed the 2015 Big League Reader challenge by checking out and reading at least three books from a Sarasota County Library during the month of February. Now in its fifth year, the Big League Reader program encourages children to read, and rewards their efforts with a free spring training game ticket. One lucky participant, chosen at random, receives the honor of throwing out the first pitch. A partnership of the Orioles and Sarasota County Libraries, the program has grown exponentially. This year, participants read nearly 300 books. The Orioles’ participation in the Big League Reader program is part of Sarasota 365, a host of initiatives through which the Baltimore Orioles and OriolesREACH demonstrate the ballclub’s year-round engagement with the Greater Sarasota community. Whether hosting youth activities, participating in charitable causes, or partnering in efforts to boost the local economy, the Orioles are active in the region all year long, proving that their commitment to the club’s southern home goes far beyond baseball. For more information or to sign up for the Orioles in Sarasota e-newsletter, visit www.orioles.com/sarasota. (St. Petersburg, FL) The Tampa Bay Rays will begin their 18th spring training and seventh in Charlotte County on Monday, February 23 when first-year Manager Kevin Cash and his staff welcome 38 pitchers and catchers to Charlotte Sports Park. The players will take the field at 9:30 a.m. The first full-squad workout is scheduled for February 28 when the camp expands to 62 players, including 22 non-roster invites. For all spring training workouts, admission and parking are free. There will be many new faces. In his first 92 days as President of Baseball Operations, Matt Silverman engineered seven trades involving a total of 30 players; added two major league free agents; signed all eight arbitration eligible players prior to the exchange deadline; and hired a rookie major league manager and two major league coaches. Eleven players on the 40-man roster were not in the organization when the Rays opened spring training camp last year on February 15, and eight have joined the organization since the end of the 2014 regular season. Thirty-two of the 40 players on the current roster made their Rays debut in 2012 or later. The Rays will begin their defense of the Grapefruit League crown on Thursday, March 5 vs. the Baltimore Orioles at Charlotte Sports Park. In 2014, the Rays had Major League Baseball’s best spring training record (16-7-4), and their Grapefruit League title was their third in the last seven seasons, following 2008 and 2010. Since 2008, the Rays have the majors’ fourth-best record in the regular season and the fourth best record in spring training play. Since becoming the Rays in 2008, the team has recorded at least 15 wins in six out of seven spring trainings. They had never achieved this in 10 springs as the Devil Rays. On Friday, March 6 prior to the Rays vs. Minnesota Twins game at Charlotte Sports Park, the Rays will continue their annual tradition of shaving their heads as part of the Pediatric Cancer Foundation’s “Cut for a Cure.” For the fourth consecutive year, Rays coaches, players and front office staff will shave their heads to pay tribute to children fighting cancer. To show support for a player or participant, the public is encouraged to text “PCF” to 20222 to make a $10 donation or visit pcfcutforacure.org. Fans will be able to shave their heads with the Rays that day and receive a “Rays Cut for a Cure” T-shirt for a $100 donation. That game will also be the 500th spring training game in club history. Acquired in Trades (6): RHP Jose Dominguez, C/DH John Jaso, RHP Kevin Jepsen, C Rene Rivera, RHP Burch Smith, OF Steven Souza Jr.
Friday, February 20, Noon—Pre-spring training press conference at Charlotte Sports Park with Rays Manager Kevin Cash and President of Baseball Operations Matt Silverman. Lunch will be provided by the Charlotte Harbor Visitor and Convention Bureau following the press conference. Saturday, February 21, 11 a.m.—2015 Rays Fan Fest at Tropicana Field. Most Rays players and coaches are expected to attend. Monday, February 23, 9:30 a.m.—First workout, pitchers and catchers. Friday, February 27, 8 a.m.—Photo Day for Media Only. All players and coaches will be available for head-and-shoulders photos. Media planning to attend should notify the Rays Communications dept. Saturday, February 28, 9:30 a.m.—First workout, full squad and Spring Training Fan Day. Wednesday, March 4, 12:30 p.m.—Rays Charity Golf Tournament to benefit Rays Baseball Foundation at Ritz Carlton Golf Club in Bradenton (15150 70th Terrace E.). All Rays players and coaches are expected to attend. Thursday, March 5, 1:05 p.m.—Military Appreciation Day at Rays Grapefruit League opener vs. Baltimore Orioles at Charlotte Sports Park. Friday, March 6 (pregame)—For the fourth consecutive year, the Rays will shave their heads in support of the Pediatric Cancer Foundation’s “Cut for a Cure” program. DID YOU KNOW? Last March, readers of USA Today voted Charlotte Sports Park their favorite spring training destination. Those visitors accounted for an economic impact value of nearly $21 million for Charlotte County in 2014, according to data supplied by the Charlotte Harbor Visitor and Convention Bureau. The Rays-Red Sox game last March 19 drew 7,852 fans, the largest crowd in the 22- year history of spring training baseball in Charlotte County. MINOR LEAGUE CAMP—The first workout for minor league pitchers and catchers at Charlotte Sports Park is March 7. The first workout for minor league position players is March 11. At that time there will be approximately 150 players in minor league camp. RAYS PARTNER WITH CHARLOTTE BOYS & GIRLS CLUB FOR SIXTH CONSECUTIVE YEAR—The Sixth Annual BaseBALL Dinner & Auction benefiting the Boys & Girls Clubs of Charlotte County will be held on Friday, March 20 at 6:30 p.m., at Charlotte Harbor Event & Conference Center in Punta Gorda. To purchase tickets, fans should call (941) 979-8379. For the sixth consecutive year, the Rays will be featured at the event. Expected this year are Rays Manager Kevin Cash, his coaching staff and several players. (St. Petersburg, FL) Autograph passes for the 2015 Tampa Bay Rays Fan Fest presented by the Tampa Bay Times will go on sale this week. Rays Fan Fest is scheduled for Saturday, February 21 from 11 a.m. until 4 p.m. at Tropicana Field. For the 20th consecutive year, admission and parking for Rays Fan Fest are free. Like last year, autographs at Fan Fest will only be available with the purchase of an autograph pass. These player-specific passes go on sale to the general public at 2 p.m. on Wednesday, February 4 exclusively on raysbaseball.com (subject to availability). Rays Members—Season Ticket Holders and Flex Pack buyers—will also receive information regarding pre-sale opportunities for these passes. Autograph passes provide access to a player at a specific time frame during Fan Fest. A limited number of passes will be sold for each signing player and all sales must be completed online, exclusively on raysbaseball.com, in advance of Fan Fest and will not be available for sale on the day of or during Fan Fest. The cost of each autograph pass is $25 per player. All proceeds from autograph sales will benefit the ALS Association Florida Chapter. At Rays Fan Fest in 2014, between the Rays Charity Yard Sale at 162 Landing and autograph sales, $100,000 was raised to benefit local charities. Once again, there will be one player autograph station free for kids 14 and under and for fans who have purchased autograph passes. More than 30 former major league players will be available to sign autographs for free throughout the day to go along with personalized interaction with Rays players and coaches and numerous activities for kids. Additionally, fans can become a Rays Member by purchasing a limited edition Fan Fest Flex Pack that includes a Kevin Kiermaier Bobblehead and an autograph pass pre-sale opportunity by visiting raysbaseball.com or calling 888-FAN-RAYS. For more information about the 2015 Rays Fan Fest, fans can visit raysbaseball.com/fanfest. More event details will be released soon. (St. Petersburg, FL) For the second consecutive spring, the Tampa Bay Rays will provide jerseys and caps to over 5,500 T-ball players and coaches for more than 50 Little Leagues from nine surrounding districts. The program will reach Little League T-ball teams in Charlotte, Hillsborough, Manatee, Pasco, Pinellas, Polk and Sarasota counties. The Rays will kick off the initiative the weekend of February 7-8 when the team will distribute the uniforms and conduct clinics for the T-ball players and coaches. Rays manager Kevin Cash, who played on the Northside Little League team that represented Tampa in the 1989 Little League World Series, will address the coaches on Saturday, February 7. Rays players, Grant Balfour and Jake Odorrizi will help conduct clinics for the kids on Sunday, February 8. The uniforms include 18 variations of Rays colors and styles to give the region’s young Little Leaguers a big league look. The jerseys are created by Majestic Athletic, the official uniform supplier of Major League Baseball. The total savings from the project, as reported by the participating leagues, is estimated at approximately $115,000. As a result of these savings, officials from some of the participating leagues have noted that they now have the ability to repair their scoreboards, provide paint upgrades to dugouts, add fencing for fields, fund new equipment purchases and grounds crew supplies and repair concession stands and other facilities.